HomeTombstone Tuesday – Lowry, but which one? Tombstone Tuesday – Lowry, but which one? 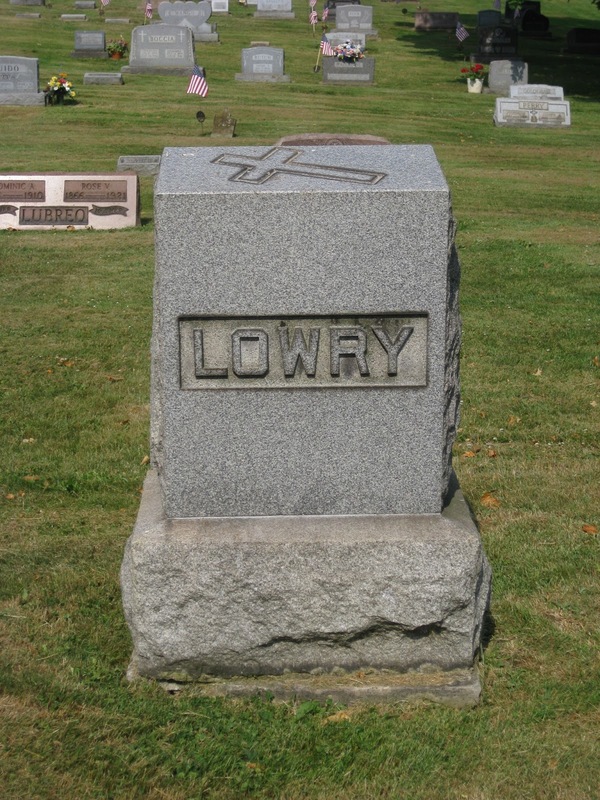 A Lowry family headstone from Calvary Cemetery in Leetonia, Ohio, with no dates or other markers associated with it. The back is blank, but I’d like to place bets on this being either Michael Lowry (1868 – 1949) and Anna Lottman (1869 – 1945) or Michael’s parents, Michael Lowry (1829 – 1928) and Bridget Conley (1825 – 1904). Nearby stones, including those for Anna Lottman Lowry’s parents, are dated starting around 1920 but do extend into the 1950’s. The groundskeeper told me that the cemetery records are reported to be in someone’s basement. Somewhere I have a cell phone number for the guy. I’ll need to dig that out eventually.